Daigle Oil Co. announced this week the company is now in the hands of its employees after forming an employee stock ownership plan, or ESOP. "I'm happy with this because it's a nice investment for the future," Gail Levesque (right) customer service representative, said. 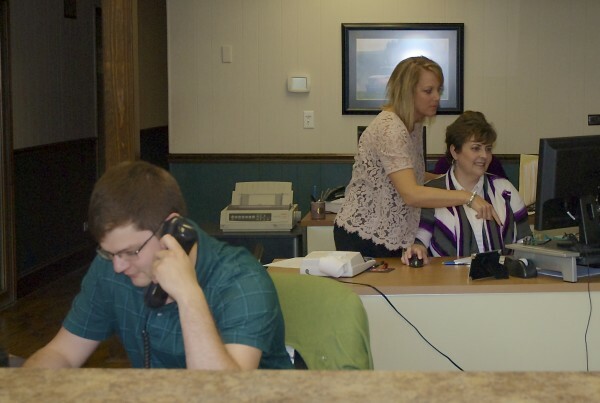 Working in the front office with her are Sonya LeBouef, brand manager; and Evan Richards, dispatcher. Courtesy of Daigle Oil Co.
A Daigle Oil Co. Place service station glows at night at 89 Bennett Drive in Caribou in this archive photo. FORT KENT, Maine — After 60 years as a private, family-owned business, Daigle Oil Co. this week announced its ownership is now entirely in the hands of its 182 employees. According to company officials, Daigle Oil is now 100 percent employee owned thanks to an employee stock ownership plan — or ESOP — that allowed vested employees to buy into the company. Daigle, whose father, Guy Daigle, founded the company in 1955 with one fuel truck in Fort Kent, said the ESOP will not change company operations and that both he and COO Dan Vaillancourt plan to remain on board for awhile. According to brand manager Sonya LeBoeuf, the move to an ESOP has been in the works for a couple of years and was aimed largely at securing the company’s future as a community-based business. Companies that want to follow the ESOP model must set up an employee stock ownership trust. After a period of vestment, or waiting, owner-employees are distributed shares annually. The value of those shares has to be set by an independent entity. Under the plan, all eligible employees will earn a yearly allocation based on their percentage of eligible compensation. The ESOP is a qualified retirement plan and operates according to federal Employee Retirement Income Security Act guidelines. Daigle Oil employees already were participating in a 401(k) retirement plan and may continue to do so, LeBouef said. It often comes down to what is in a company owner’s heart and mind, Keeling said. In the case of Daigle Oil, securing an outside buyer to take over once he retired was an option for Daigle, but one he believed was not in his employee’s best interests, or the long-term health of his company. More than 30 companies in Maine have joined the employee stock ownership plan model, including firms as large and well-known as Pittsfield-based Cianbro, Johnny’s Selected Seeds of Winslow, Dennis Paper & Food Service in Hampden and Stillwater-based Sargent Corp.
Jonathan Michaud, Daigle Oil service department administrator, said this week he is excited about the ESOP move. Once solely an oil dealer, Daigle Oil over the years has branched out into retail gasoline stations, propane and biofuel. 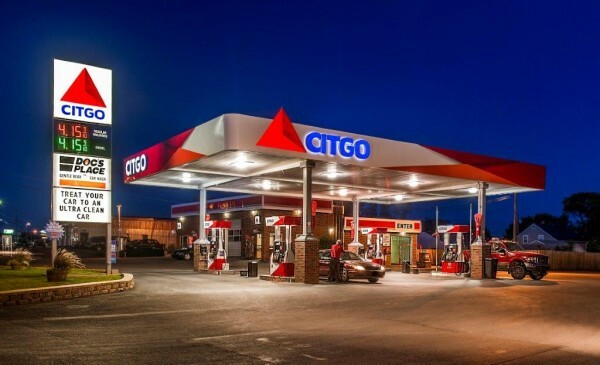 The company sells gasoline and diesel fuel at service stations from Fort Kent to Bangor in addition to supplying and delivering wholesale fuel to agriculture, construction and forestry operations in northern and central Maine. Creating an ESOP with the future well-being of employees in mind says a lot about a company’s owner, Keeling said. It’s a move both LeBouef and Daigle believe Guy Daigle would approve.